American Ninja Warrior, NBC’s obstacle course competition airs tonight with an all new Monday, July 27 season 7 episode 9 called “Houston Finals.” We’ve got your recap down below! On tonight’s episode the top 30 competitors from the Houston Qualifier tackle the Houston Finals course, which includes such obstacles as the Salmon Ladder, Walking Bar, Crazy Cliffhanger and Invisible Ladder. 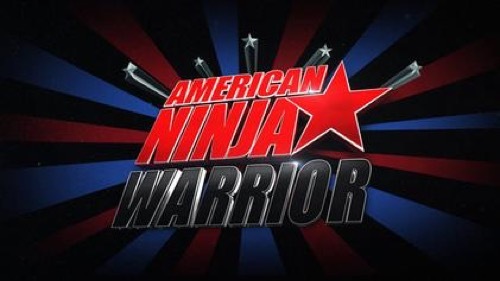 On the last episode “American Ninja Warrior” traveled back to Kansas City, Missouri where the top 30 competitors from the Kansas City Qualifier tackled the Kansas City Finals course. In addition to the obstacles from the Kansas City Qualifier, contestants faced the Salmon Ladder, Flying Shelf Grab, Body Prop and Invisible Ladder. Top competitors and fan-favorites Meagan Martin, Brian Arnold and Michael Stanger took on the course. The Kansas City competitors vied for a chance to compete in the Las Vegas finals, to win a cash prize of $1,000,000 and the title of “American Ninja Warrior. Did you watch last week’s episode? If you missed it we have a full and detailed recap, right here for you. #AmericanNinjaWarrior is in Houston, Texas for the city finals. Akbar and Matt talk about how much tougher the city finals are and introduce Kristine to show off the 10 obstacles. The quintuple steps and tilting slider are first. Followed by the spinning log, cargo crossing, swinging spikes and warped wall. Then the four extra are the salmon ladder, walking bar – a new obstacle – and the crazy cliffhanger with a new twist. First up tonight is David Yarter and he’s at the city finals with his dad Vance tonight making them the first father-son team to make it this far. Vance is up first and he conquers the steps then moves to the slider. He takes a hard hit off the log but makes it. The cargo crossing is next and he lands gently. The swinging spikes take him out. Geoff Lancaster, a Vegas veteran is next. He hops the steps then the slider easily. He runs the log so fast he almost slips then hopes onto the cargo crossing. He moves on to the swinging spikes and then runs up the warped wall to the back half of the course. The salmon ladder is okay but the walking bar takes him down. David Yarter is now up and cleared the front part of the course far surpassing his dad. David takes a hard fall on the walking bar and he’s out of it too but made it farther than his dad. Next up is Travis Iverson, a correction’s officer. He survived a huge aneurysm a few years ago that caused heart surgery. He clears the first three obstacles then moves to the cargo crossing. He clears that and moves to the swinging spikes and barely makes it but moves on to the warped wall. He’s on the back of the course next on the salmon ladder but is flagging. He falls there before he can reach the walking bar. Abel Gonzalez is up next and he flies through the first half of the course. His run ends on the walking bar as have the others who got this far. Evan Dollard is on the course now and falls on the swinging spikes. Andrew Lowes is flying through the course but takes a tumble on the swinging spikes. Dillon Gates makes it to the salmon ladder and the waking bar then falls when he loses his grip. Next up is Kevin Klein who clears the first half of the course and moves on to the salmon ladder. The walking bar takes him out as well. Tremayne Dortch is a Vegas veteran for the past three years. He rapidly clears the first few obstacles and moves to the swinging spikes. He’s now on the back side of the course. Tremayne #TheMuscle is the first to clear the walking bar tonight. He’s now on the last obstacle, the crazy cliffhanger. He’s the first to face this tonight. He missed on the transition and falls – he was so close. He should be guaranteed a slot though, based on this performance. Thomas Stillings is next and he’s a Parkour enthusiast. He clears the first few obstacles with ease then rapidly clears the front of the course and scales the wall. He was taken out by the walking bar but was zooming through the course up until he took the tumble off the Ninja killing obstacle. Veteran Josh Grant was taken out by the salmon ladder and Joe Calderon was taken out by the walking bar. Olympian Jon Horton is up next. He takes the course by storm and faces the warped wall – the short guy misses on the first run – he’s the shortest male competitor. He nails it on his second try and moves on. He takes a tumble on the walking bar which takes him out. He may still get to move on depending on his time. Jeremiah Morgan is up next and his dad and brothers have also competed. He makes it through the swinging spikes and faces off with the warped wall. He scales it and is on to the back half of the course. Jeremiah cleared the crazy cliffhanger! He’s the first of the night and now he faces the invisible ladder. He’s the first finisher of the night. Back from the break, Christopher Janes fell on the swinging spikes. Nathan Jasso went out on the salmon ladder. Then Karsten Williams is next. He’s a youth fitness specialist. Karsten takes the first half of the course by storm then moves to the second half past the warped wall and takes on the cliffhanger. He falls on the transition but was so close to finishing. He has a good shot at moving on. Up next is Daniel Gil – he had the fastest time in qualifying as a rookie. Daniel starts his run and slays the first half of the course with ease and does it super fast. He takes the warped wall and moves on to the back of the course. He takes the ladder and moves to the walking bar. He fell on the transition like so many others – but he will move on to Vegas. Kacy Catanzaro is there and tells Matt and Akbar that she’s sorry she’s not competing tonight but worked hard this season. She’s there to watch her BF Brent Steffensen. He starts his run and easily makes it through the first half of the course. He speeds up the warped wall then moves to the salmon ladder. He transitions to the walking bar and takes a tumble. He will move on though. Back from the break we see that Jonathan Parr fell on the walking bar but his time may not be enough to make it. Then Vegas veteran Robert Ing fell off the swinging spikes taking him out. Tony Matesi also went out there which will let Parr move on to Vegas. The last run of the night is Sam Sann – the crowd goes wild as he takes the platform to start his run. He hops the steps, does the tilting slider, runs the log then moves to the cargo slider. He moves to the swinging spikes and then takes a tumble as he lands and has to shake out his hands. He runs the warped wall easily and moves to the back of the course. He touches the walking bar which will take him to Vegas for the third year in a row. He snags the rope with his legs and slides down. He sits for a moment to catch his breath. He moves to the Crazy Cliffhanger. He does the transition in one leap and nails it. Now it’s just the invisible ladder. He wiggles up it and will be the second qualifier to end the night.